Tsukiji is the sightseeing spot that has「Tsukiji Market」,the biggest wholesale market in Japan. 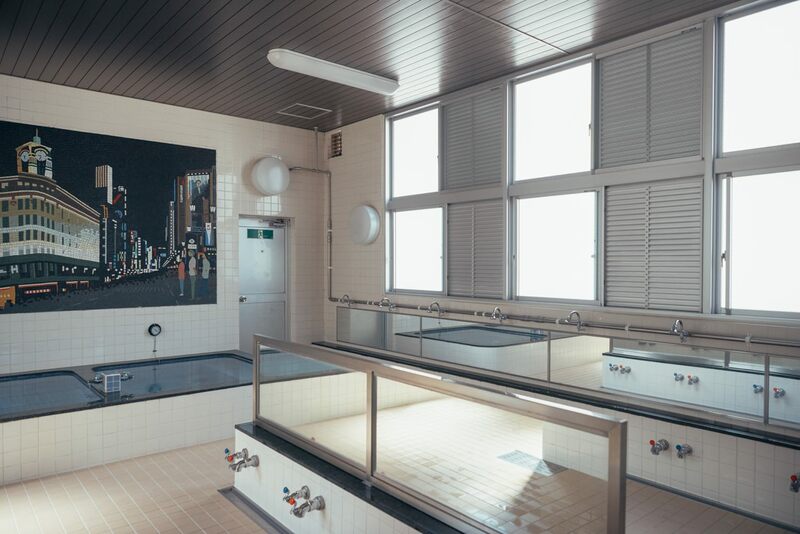 Tsukiji has also public bath named GINZAYU. GINZAYU is located at Ginza 1-Chome, and has attractive art of Ginza City on the wall of man’s bath. Today, we would like to introduce the attractive point of GINZAYU and how to take the bath. Do you want to know other sentō near Tsukiji? 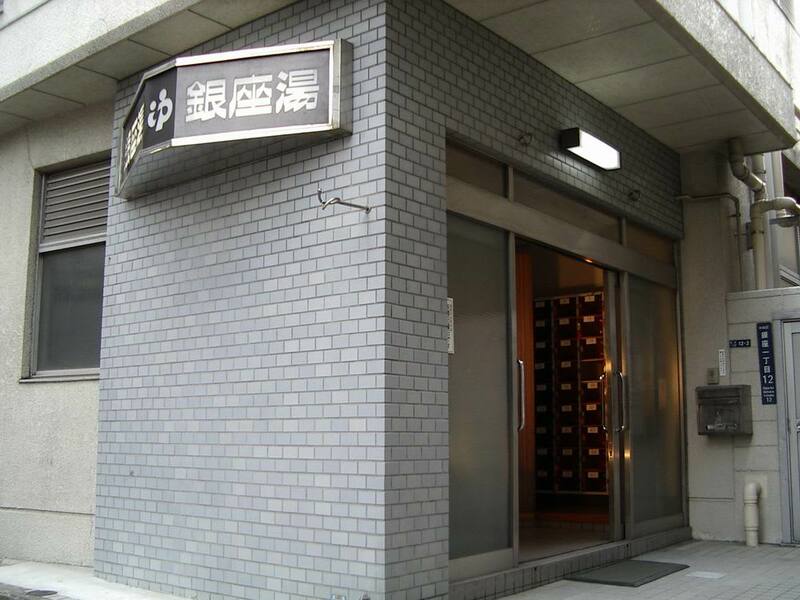 See “Sentō (public bathhouse) you can visit this bathhouse by walking from the Tsukiji market 5 selection”. GINZAYU is the public bath that located in the middle of Tokyo city. The building is under the Metropolitan Expressway over pass. The interior of GINZAYU makes us feel the good-old days since this public bath has been opening since 1975. And it has renewed in 2013 to keep both retro and clean atmosphere. Though the temperature of the bath is bit hotter than usual, so that you could get rid of work fatigue and stress. The good point is the location that is as near as only 12 min by walk from Tokyo station. So GINZAYU would be recommendable relaxing spot for Tsukiji tourist. GINZAYU is small and has simple building structure. 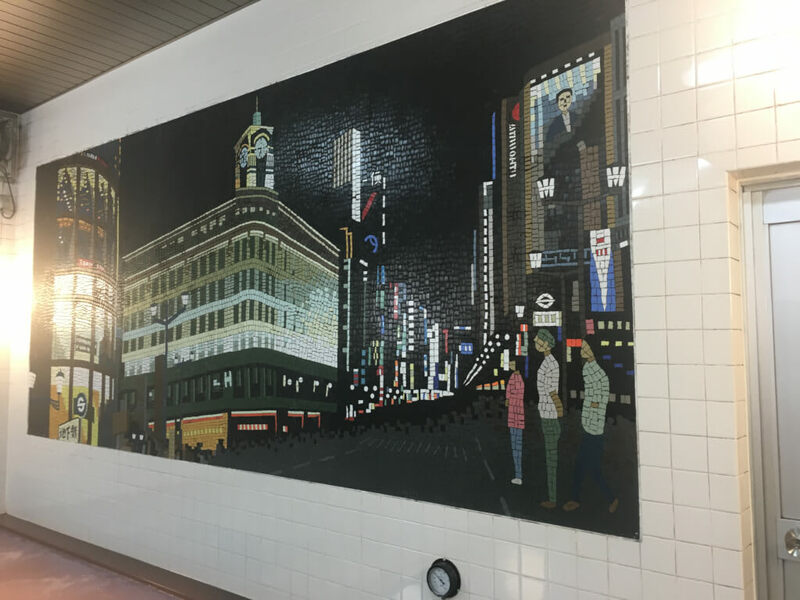 The interior has tile wall with Ginza city paint art on it. It is Ginza 4 Chome’s paint art in man’s bath, and Sumida river’s fireworks paint art in lady’s bath. The Ginza city drawn on the tile wall in man’s bath is that of 1948 and feels retro atmosphere. This work of art has kept it’s color since when it has drawn, let us know the good time of late Showa Era. It is very happy that we could feel the urban flavor at Onsen spot in Tsukiji・Ginza. How to Take a Public Bath. GINZAYU has amenity goods like shampoo, rinse, body soap. So you only need to bring minimum necessary stuff like bath towel and face towel. You can also dryer for only 20 yen when you take a bath in advance. You could keep your hair health by drying with dryer. In addition, the shoe cupboard there is capable of housing even boots. It is very kind for modern women. But please note that there is no Sauna and cold water bath. 4 min walk from Takara-Cho station on Toei Asakusa Line. 5 min walk from Ginza 1 Chome station on Tokyo Metro Yurakucho Line. 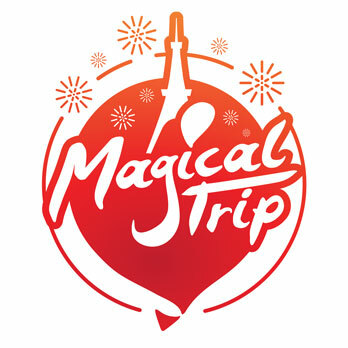 About 33 min from Haneda Airport / About 12 min from Tokyo station.